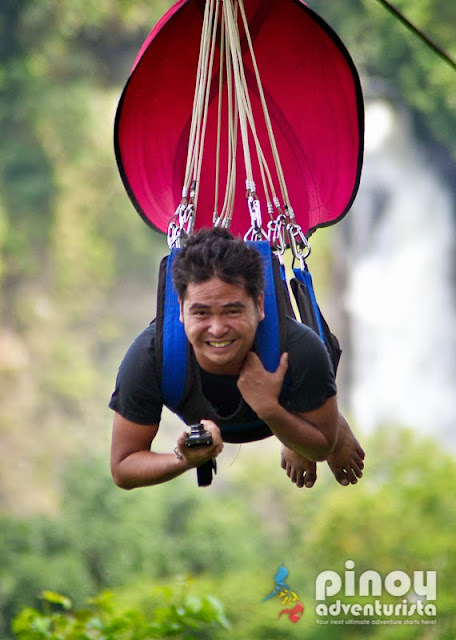 Lake Sebu Seven Falls Zipline! Yahoo! Aside from being the ancestral domain of the indigenous T'boli tribe, Lake Sebu is also known for its majestic waterfalls. 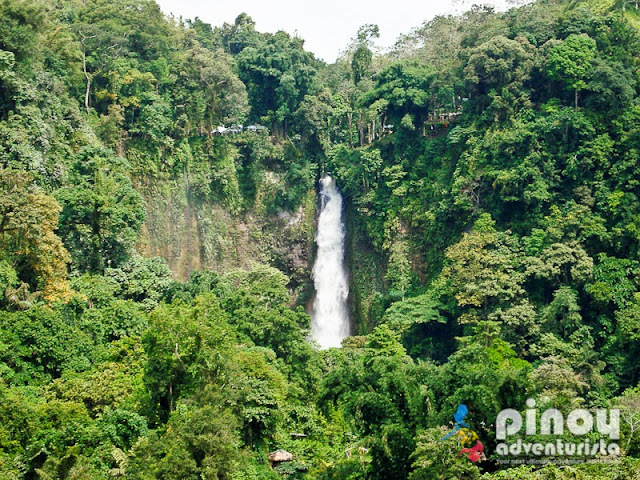 Perched in the highlands of South Cotabato province in Mindanao, Lake Sebu affords visitors an awesome place to relax and unwind with its cool climate, mist-filled mountains, verdant forests and calm lakes. 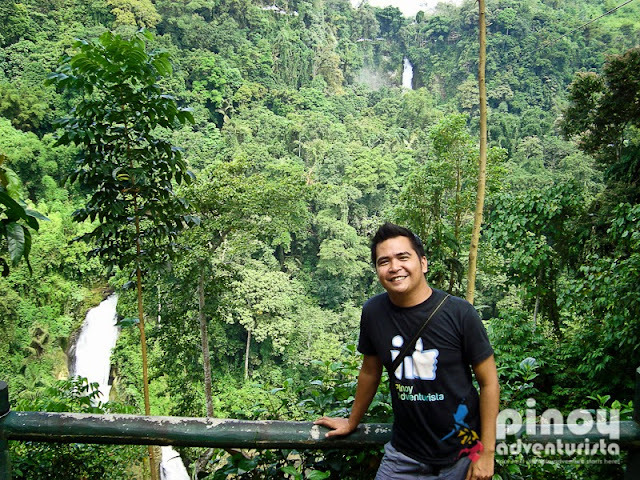 Dubbed as the "Summer Capital of Southern Mindanao", it is a peaceful, idyllic fishing town with an estimated elevation of 1,000 meters above sea level with temperature comparable to Tagaytay City ranging from 20ºC to 25ºC. 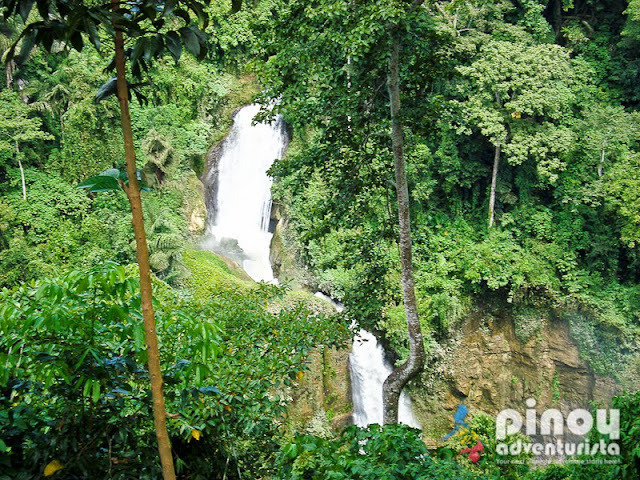 Visitors and tourists often go to Lake Sebu to see the Seven Waterfalls located in Barangay Siloton. 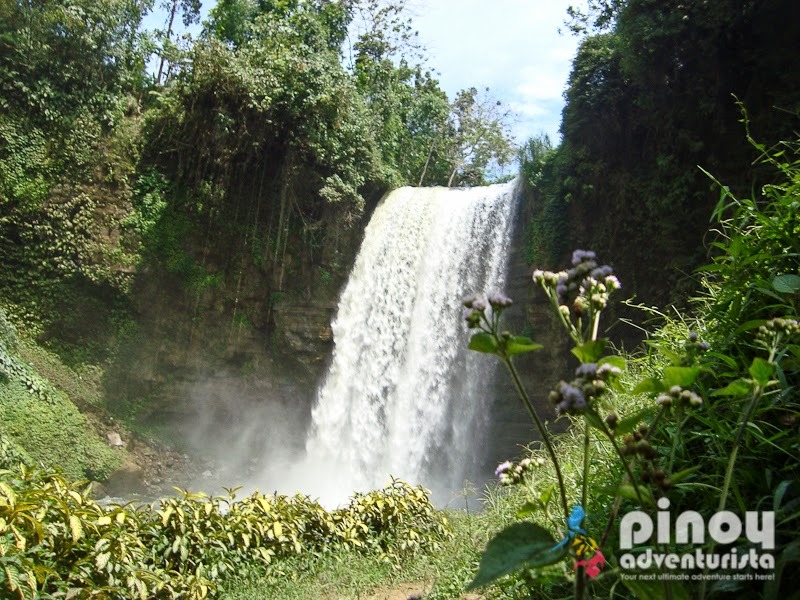 It is composed of 7 majestic waterfalls with water coming from Lake Sebu and Lake Siloton. So, from our accommodation at Punta Isla Lake Resort, we rented a habal-habal (single motorcycle) that brought us to the waterfalls. Upon arrival at the Eco-tourism park developed by the provincial government of South Cotabato, we paid the entrance fee of 20.00 pesos each. The 7 waterfalls of Lake Sebu are given T'boli names that describe them. They are Hikong Alo (passage falls), Hikong Bente (immesurable falls), Hikong B'Lebel (zigzag falls), Hikong Lowig (booth falls), Hikong K'Fo-I (wild flower falls), Hikong Ukol (short falls) and Hikong Tonok (soil falls). 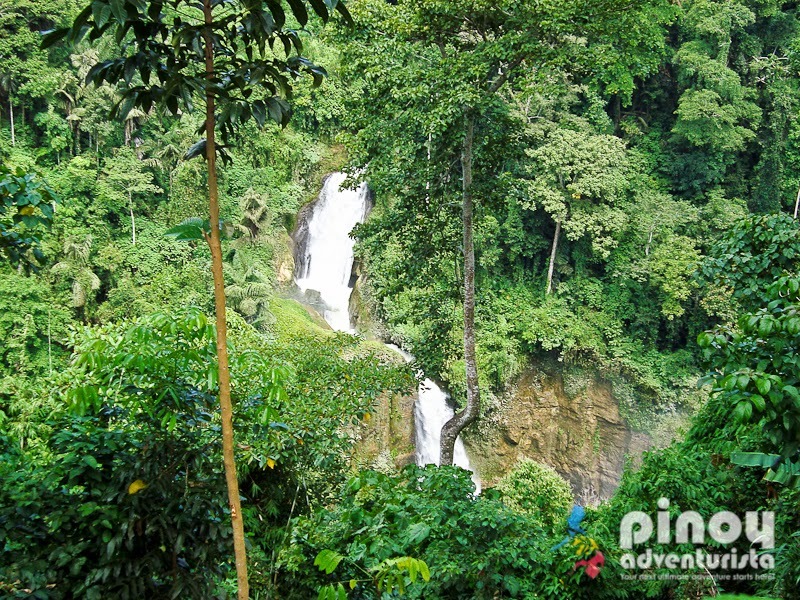 The first two waterfalls are easily accessible, while the others require some trekking. 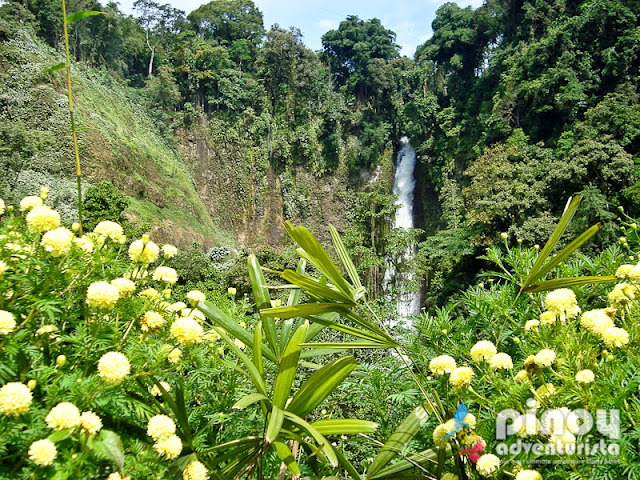 Hikong Alo (photo below) can be accessed via a short leisurely walk at the eco-park, while Hikong Bente, the 2nd waterfalls can be accessed by foot via a 774-step trail. The best and easiest(?) way to see the other waterfalls is by riding the zipline that passes above the waterfalls. That's what we did! It is composed of a 740-meter ride from Falls No. 1 to Falls No. 5 and a 400-meter ride passing through Falls No. 5 to Falls No. 2 parking area. 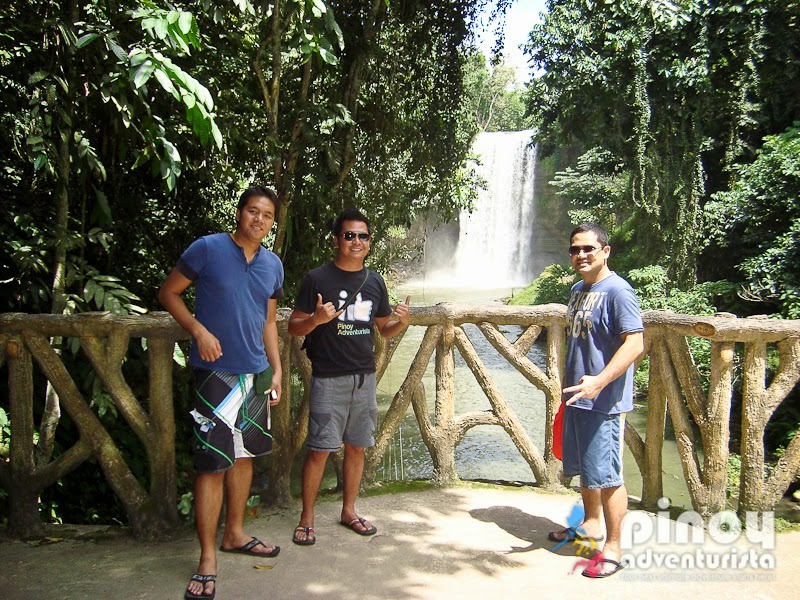 We paid for the ride fee of 250 pesos (weekday rate) and readied ourselves for the ride. 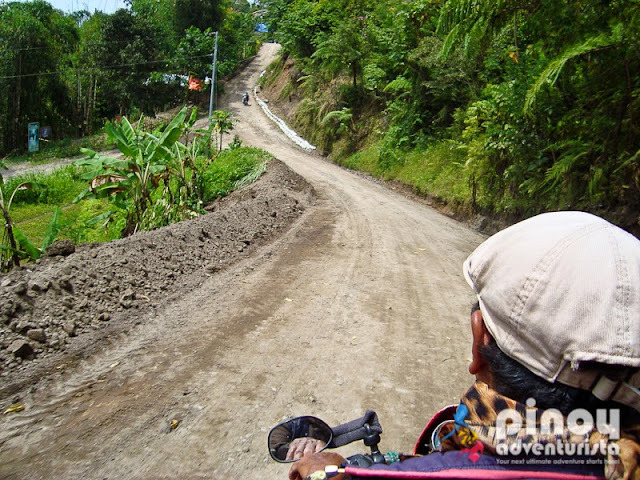 The first ride will afford you a breathtaking view of Hikong Bente, the second of the 7 waterfalls. On your second ride, you will see Hikong B'Lebel, Hikong Lowig, and Hikong K'Fo-I forming a giant liquid staircase. I've been riding ziplines in the past, but this is so far the highest and the most thrilling zipline ride I've ever had. I was shivering the whole time, but it was definitely so much fun! Imagine "flying" over 180 meters high? It was an adrenaline pumping ride of a lifetime! 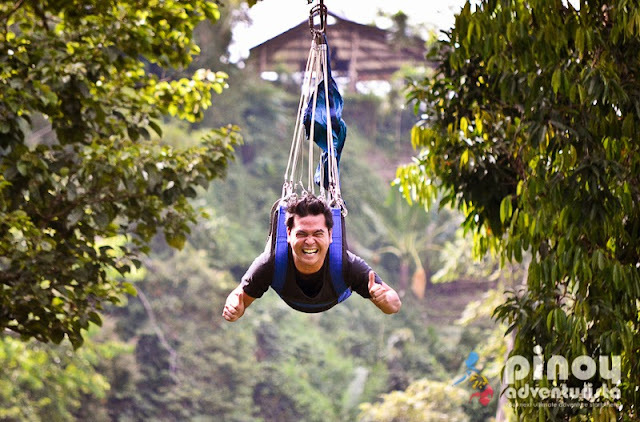 Of all the zipline rides in the Philippines that I've tried in the past, I can say that Lake Sebu's Seven Falls Zipline Ride is the most scenic and breathtaking. 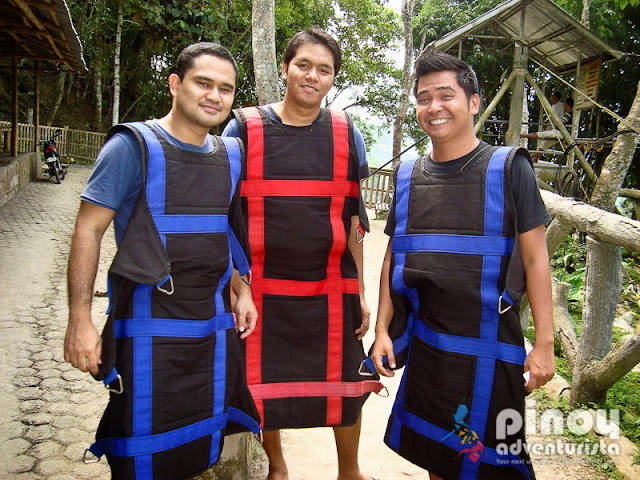 If you could do just one zipline in your life, do it in Lake Sebu! You will never regret it. Entrance Fees: 20.00 (Adults), 10.00 (Students with ID), 15.00 (Senior Citizens) and 5.00 (Children 12 years old and below). Zip line rates are: 250.00 on weekdays and 300.00 on weekends. 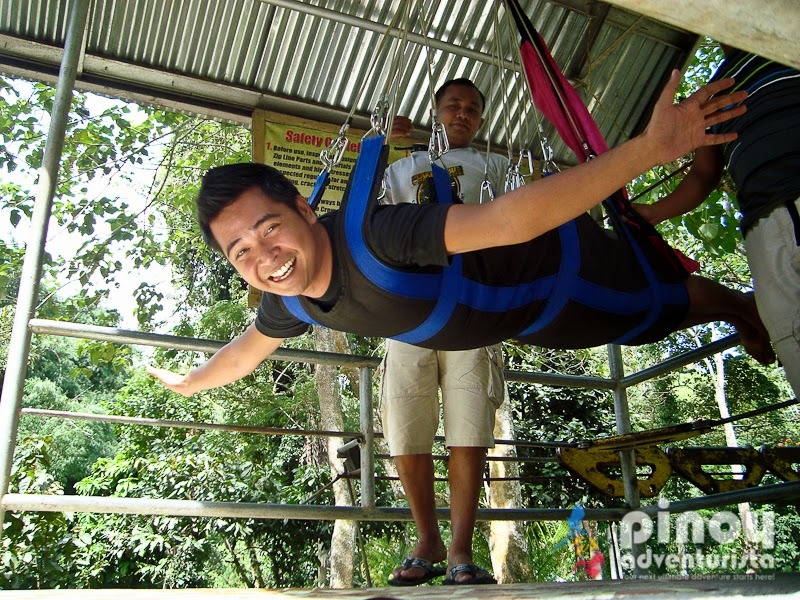 Photos taken by the zip line operators can be purchased after the ride. There are souvenir shops and refreshment stores at the park's parking area where you could eat or buy some drinks after riding the zip line. Be sure to ask the habal-habal driver to wait for you so you will have a ride back to your accommodation. In our case, we hired the habal-habal for 1 whole day. How did you manage to have time to visit all these places? Hmmm... but it's a nice feat man. Are there public transports from the nearby Maitum, Sarangani to Lake Sebu? Or the mountainous area doesn't allow it? I'll be visiting the Pawikan Sanctuary first in Maitum before going to Lake Sebu. Thanks in advance!